The Charity Commission has opened a statutory inquiry into a London-based Christian charity after it failed to submit its accounts on time for three consecutive years. Kingdom Life Ministries, which is based in Tottenham, north London, and promotes Christianity, has been accused by the commission of showing evidence of mismanagement and of non-compliance with the regulator. The charity was included in a class inquiry last year after failing to submit its accounts for the financial years ending 31 May 2014 and 2015. KLM was later removed from the class inquiry, which included a group of charities that had repeatedly failed to file accounts on time, after it submitted the outstanding accounts in April this year. But the charity filed its 2016 accounts 74 days late, the Charity Commission website shows, which prompted the new statutory inquiry. The commission said that because the charity had been given regulatory advice and guidance, “it is of serious regulatory concern to the commission that the charity has continued to default on its statutory duties”. According to the Charity Commission website, the charity had an income of £870,411 and spent £860,563 in the year to 31 May 2016. The website shows that the charity has filed each of the past five sets of accounts late, ranging from 15 days overdue to 489 days behind schedule. The inquiry will examine the extent to which the trustees have complied with previous guidance and whether they are carrying out their legal obligations properly. 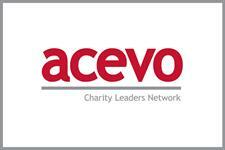 The charity did not respond to a request for comment before Third Sector’s deadline. The Charity Commission has opened a statutory inquiry into a Gloucestershire-based community centre that has failed to submit any accounts to the regulator since 2011. The commission said today that it opened the inquiry into the All Nations Community Centre, which provides community activities and educational and social support, after the charity failed to provide accounting information for five financial years from the year ending 30 September 2011. The charity was previously part of the commission’s class inquiry into charities that have failed to submit their accounts and returns for two or more financial years. According to the Charity Commission website, the charity is 1,767 days overdue in filing accounts and/or its annual return for the year to the end of September 2011. The only annual return or accounts submitted by the charity to the regulator in any of the past five financial years is its annual return for 2011/12, which was received on 18 May this year, 1,388 days late, the commission’s records show. The commission’s website also shows few contact details for the charity and names none of its trustees. A commission spokeswoman said the regulator was aware of the charity’s failure to keep its details on the register up-to-date, and was in correspondence with trustees about the issue as part of the inquiry. According to the charity’s most recent accounts available on Companies House, for the year ending 30 September 2015, the charity made a loss for the year of £6,076 and had a turnover of £39,782. The Companies House website also shows the charity avoided being struck off the register in February this year, and has one registered company officer. The Charity Commission said in a statement that its statutory inquiry would consider whether All Nations Community Centre was operating for the public benefit and whether the trustees had complied with their duties and responsibilities. The inquiry would also focus on the general administration, governance and management of the charity by the trustees, specifically regarding the charity’s property, the regulator said.